We returned to Maine this morning at 2 a.m. after our usual 10.5 hour drive from our home town. After a few hours’ sleep I immediately started planning our Purim celebration. I posted a query on a Jewish forum in Boston asking for volunteers to come and layn the megilla. I brought Purim-themed cookie cutters, decorations, shalach manos bags, hamentaschen, megillos and vacuum-packed cold cuts from our home town in preparation for our Purim celebration. (Yikes! I just realized I forgot our costumes! Now I will have to get really creative. Oy.) 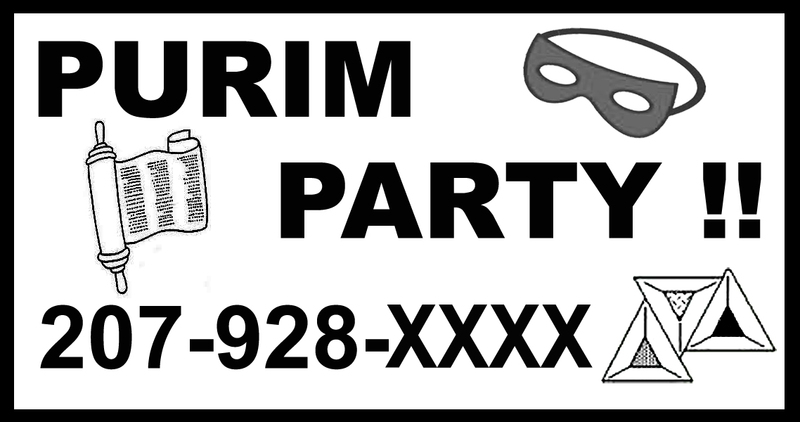 I submitted an ad to the local paper advertising our Purim party. There is simply no way to predict who will come – if anyone at all. But I am hoping to continue the momentum, when 27 Jews “hiding” in the woods came for our Chanuka party. With gratitude to HaShem . . .
For the past several years, Johns Hopkins Hospital has been building an all-new, ginormous, multi-story, state-of-the-art Children’s Hospital, scheduled to open April 1. So you would think that my granddaughter would be stuck in some decrepit old hospital wing, since her surgery date just missed the grand opening of the new, gorgeous ell. In fact, the current facilities are spacious, clean and beautiful and no complaints from *this* peanut gallery. Johns Hopkins may have a chip on its shoulder for its status as a world-class hospital, but in this case, it’s well deserved. (Even the house ice cream is world class: Haagen Dazs, not some junky generic.) 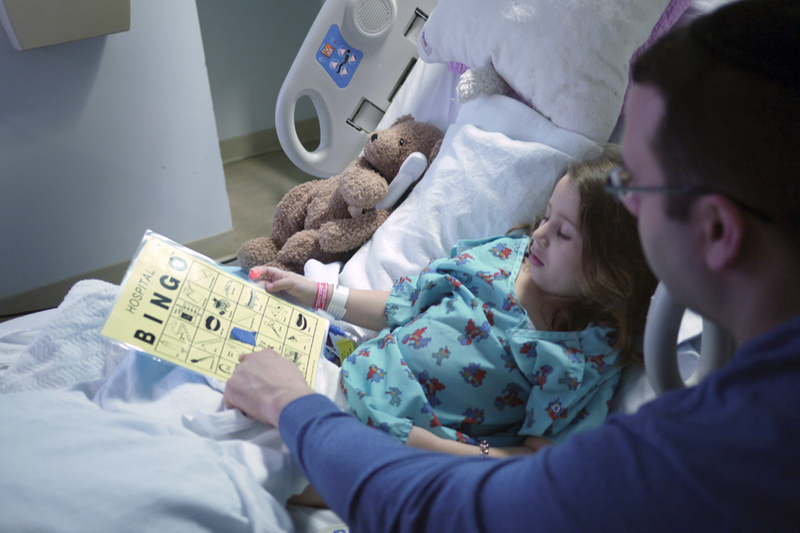 Yes, it’s run with factory-like efficiency for its thousands of patients and procedures each day, but it still manages to provide compassionate care, at least in the pediatric wards. There is a deep concern for pain management, and they have specialists who make daily rounds to ensure no one is suffering needlessly. For 1 – 2 days post-op, Dassi will have an epidural, which lets her body recover a bit from the trauma of surgery without her having to feel the normal, intense pain of her wounds. (Why don’t they offer this option more regularly to adult patients?) Dassi was given a PCA, which stands for Patient Controlled Analgesia (PCA). That means that she simply presses a button if she finds herself in pain, and pain meds are meted out into her IV automatically. In what could be a bewildering and frightening state of affairs, it gives the child a sense that they are in control of the pain, and makes it much less scary. I know that many hospitals use PCA for their adult patients, but it’s somewhat revolutionary to have PCAs in a pediatric ward, let alone controlled by a 5-year-old. At one point she resisted taking an oral medicine. The nurse brought out some princess jewelery from the dollar store from the nurses’ station’s personal stash. Dassi not only took the medicine; she is now the proud owner of a faux gold bracelet with interchangeable plastic gemstones. 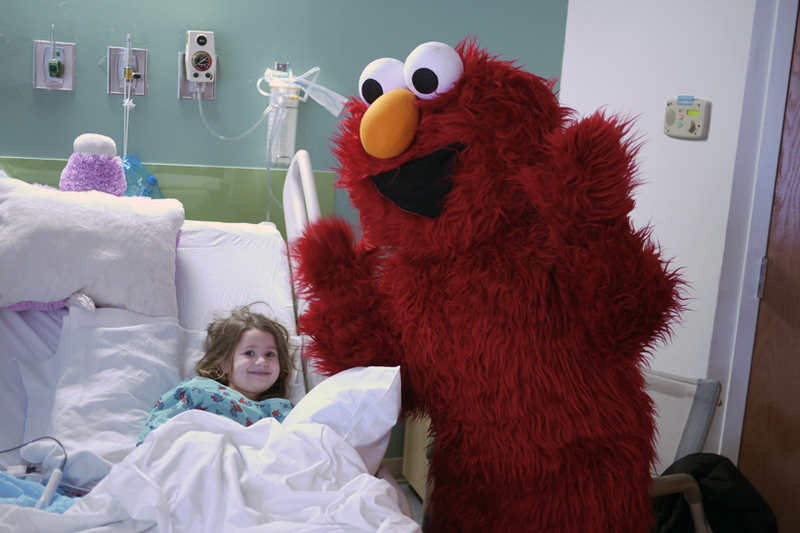 Even for children who are bedridden, there is stuff to do. Besides a playroom for the more mobile kids, there is a kid’s channel which schedules various activities that children can participate in from their bedside. Today it was Hospital Bingo. A bingo card was distributed to each room, featuring icons connected to their hospital stay. B-3 was a picture of a bedpan; N-2 was a syringe; G-5 was a cardiac monitor, etc. Before the game started, the emcee went over each and every prize, which the kids could see on the TV monitor. Prizes were age appropriate, from 2 to 15: dolls, cars & trucks; games; jewelry, dvd’s, gift cards. When a child got bingo, there was a dedicated phone line that one called to yell “Bingo!” and claim one’s prize of choice. Every child, bingo or no bingo, got a prize, and there wasn’t a booby prize in the lot. Earlier in the day we got a surprise visit from . . . Elmo! According to the nurse, Dassi can expect a visit from a different popular character each day. If simcha (happiness) is a keystone to recovery, Johns Hopkins is certainly an enabler. Distraction is working well, and Dassi is being brave and wonderful. 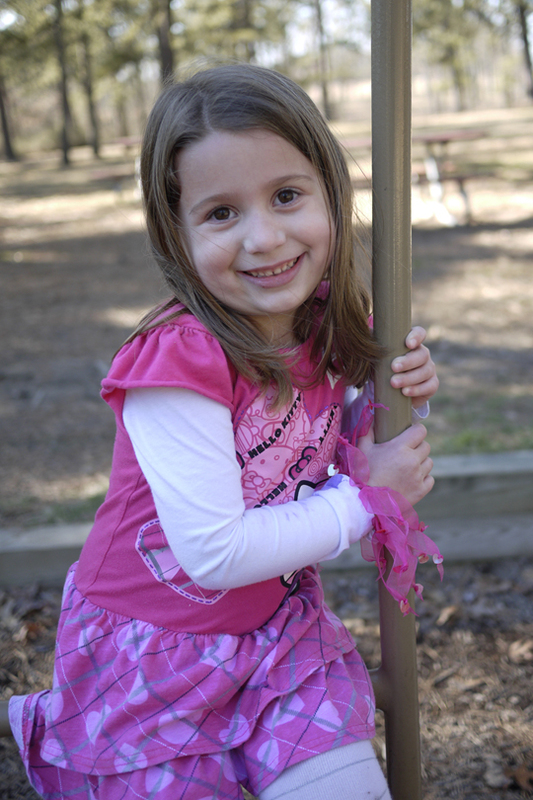 Even at age 5, she is a girly girl. Provided she continues to heal (and she is already eating solids) and her “indoor plumbing” is successfully reconnected, we hope she will be home in a few days. Even with that, she has several weeks of recovery ahead, a future outpatient procedure to remove stents, etc. For now, continue your prayers, and thank you!! Every single morning upon arising, religious Jews say certain blessings, written in first person, to thank G-d. To name a few: that I have a sense of awareness to distinguish between day and night; that I am not a slave; for the gift of sight; for clothing; for the ability to stand upright. I’d like to say that I concentrate on each blessing with tremendous focus and meaning, but some days I’m rushed, other days distracted. Perhaps more commonly, I tend to take for granted that which I am accustomed to . . . I mean, what’s the big deal – of course there is a day and a night and we know the difference, right? My poor mother, a’h, in the throes of Alzheimers, no longer had that ability. In a behavior known as “sunsetting,” she would often become agitated in the middle of the night, thinking it was daytime, not understanding the darkness. As cancer took over her body, she was no longer able to walk. And as she grew increasingly mentally and physically incapacitated, she was indeed a slave, for she had no true Free Will; the way she lived her life was determined exclusively by her caretakers. This blessing is said when we wash our hands after using the bathroom. We don’t really think about what would happen if we couldn’t urinate or defecate, but of course we would not survive. How terrible is the suffering of someone who must go on dialysis when their kidneys stop working! When I was an elementary school student in yeshiva – a Jewish parochial school with both religious and secular studies – my classmates and I used to find amusing a sign that was posted just outside the bathroom. It was an ancient Jewish blessing, commonly referred to as the asher yatzar benediction, that was supposed to be recited after one relieved oneself. For grade school children, there could be nothing more strange or ridiculous than to link to acts of micturition and defecation with holy words that mentioned God’s name. Blessings were reserved for prayers, for holy days, or for thanking God for food or for some act of deliverance, but surely not for a bodily function that evoked smirks and giggles. It took me several decades to realize the wisdom that lay behind this blessing that was composed by Abayei, a fourth-century Babylonian rabbi. Abayei’s blessing is contained in the Talmud, an encyclopedic work of Jewish law and lore that was written over the first five centuries of the common era. The Jewish religion is chock-full of these blessings, or brachot, as they are called in Hebrew. In fact, an entire tractate of Talmud, 128 pages in length, is devoted to brachot. An observant Jew is supposed to recite this blessing in Hebrew after each visit to the bathroom. We young yeshiva students were reminded of our obligation to recite this prayer by the signs that contained its text that were posted just outside the restroom doors. It is one thing, however, to post these signs and it is quite another to realistically expect preadolescents to have the maturity to realize the wisdom of and need for reciting a 1600-year-old blessing related to bodily functions. It was not until my second year of medical school that I first began to understand the appropriateness of this short prayer. Pathophysiology brought home to me the terrible consequences of even minor aberrations in the structure and function of the human body, At the very least, I began to no longer take for granted the normalcy of my trips to the bathroom. Instead, I started to realize how many things had to operate just right for these minor interruptions of my daily routine to run smoothly. I thought of Abayei and his blessing. I recalled my days at yeshiva and remembered how silly that sign outside the bathroom had seemed. But after seeing patients whose lives revolved around their dialysis machines, and others with colostomies and urinary catheters, I realized how wise the rabbi had been. And then it happened: I began to recite Abayei’s bracha. At first I had to go back to my siddur, the Jewish prayer book, to get the text right. With repetition – and there were many opportunities for a novice to get to know this blessing well – I could recite it fluently and with sincerity and understanding. Over the years, reciting the asher yatzar has become for me and opportunity to offer thanks not just for the proper functioning of my excretory organs, but for my overall good health. The text, after all, refers to catastrophic consequences of the rupture or obstruction of any bodily structure, not only those of the urinary or gastrointestinal tract. Could Abayei, for example, have foreseen that “blockage” of the “cavity,” or lumen, of the coronary artery would lead to the commonest cause of death in industrialized countries some 16 centuries later? I have often wondered if other people also yearn for some way to express gratitude for their good health. Physicians especially, who are exposed daily to the ravages that illness can wreak, must sometimes feel the need to express thanks for being well and thus well-being. Perhaps a generic, nondenominational asher yatzar could be composed for those who want to verbalize their gratitude for being blessed with good health. 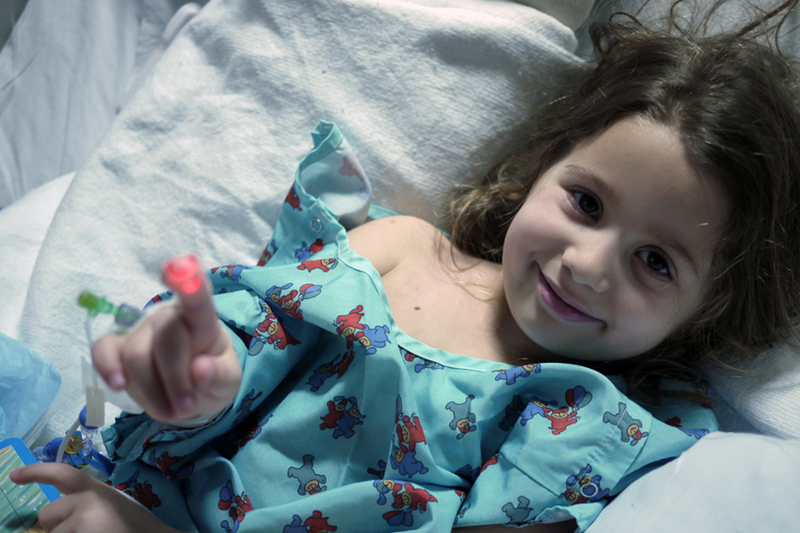 There was one unforgettable patient whose story reinforced the truth and beauty of the asher yatzar for me forever. Josh was a 20-year-old student who sustained an unstable fracture of his third and fourth cervical vertebrae in a motor vehicle crash. He nearly died from his injury and required emergency intubation and ventilatory support. He was initially totally quadriplegic but for weak flexion of his right biceps. A long and difficult period of stabilization and rehabilitation followed. There were promising signs of neurological recovery over the first few months that came suddenly and unexpectedly: movement of a finger here, flexion of a toe there, return of sensation here, adduction of a muscle group there. With incredible courage, hard work, and an excellent physical therapist, Josh improved day by day. In time, and after what seemed like a miracle, he was able to walk slowly with a leg brace and a cane. But Josh continued to require intermittent catheterization. I know only too well the problems and perils this young man would face for the rest of his life because of a neurogenic bladder. The urologists were very pessimistic about his chances for not requiring catheterization. They had not seen this occur after a spinal cord injury of this severity. Then the impossible happened. I was there the day Josh no longer required a urinary catheter. I thought of Abayei’s asher yatzar prayer. Pointing out that I could not imagine a more meaningful scenario for its recitation, I suggested to Josh, who was also a yeshiva graduate, that he say the prayer. He agreed. As he recited the ancient bracha, tears welled in my eyes. We take so much for granted! So I am asking readers of my blog to not only pray for Hadassah Shaindel bas Leah Tzipora’s refuah shlema (full recovery). I realize it might be too much to ask of those who are not accustomed to saying the Asher Yatzar prayer, that they start saying it every time they use the bathroom. But I am asking that, in Hadassah Shaindel bas Leah Tzipora’s merit, that she should have a refuah shlema, to at least think about the prayer’s significance, thank G-d that your own human plumbing is working as it should, and really, really appreciate it.